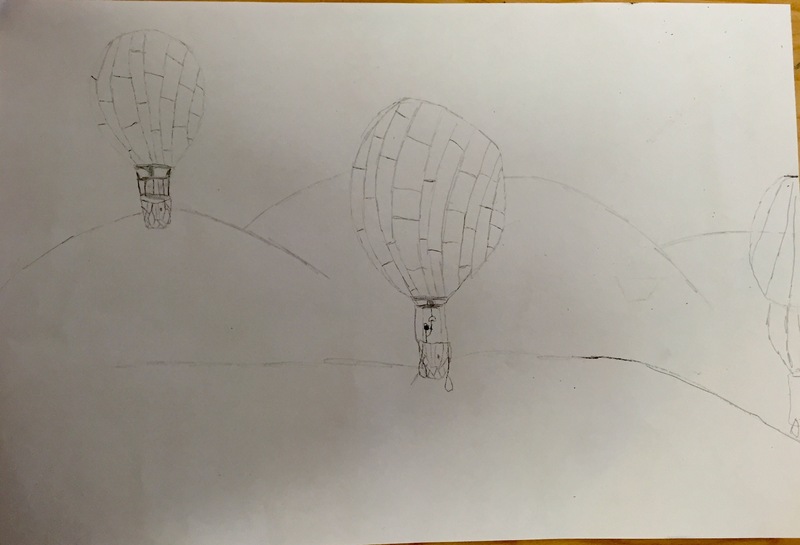 4th Grade Hot Air Balloons! 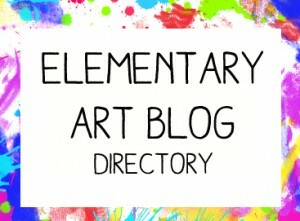 Art to Remember is upon us (me) and I haven’t even started one project. 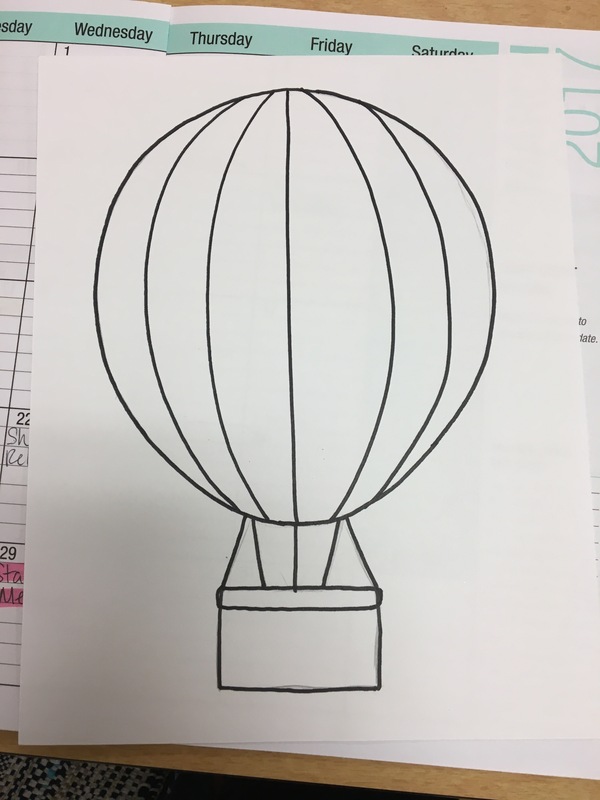 We will be starting the day we get back from holiday so I wanted to have this ready to go for my students. 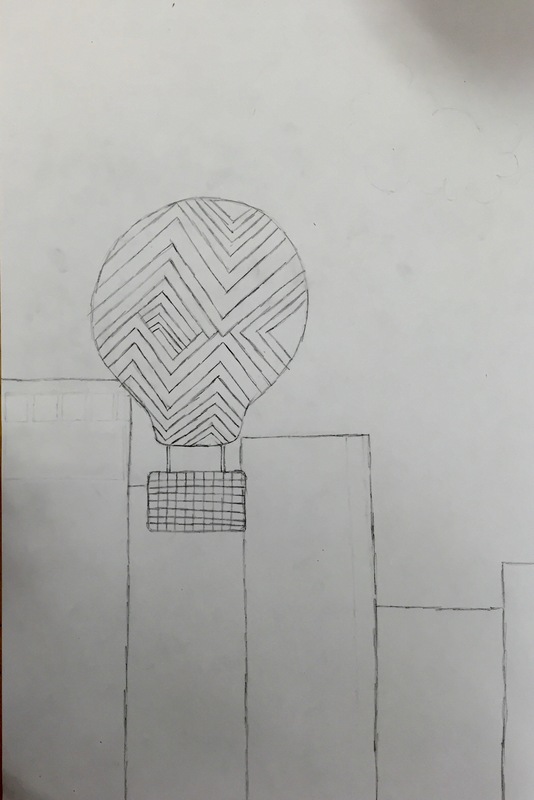 My fifth graders started on their NC art project this week. 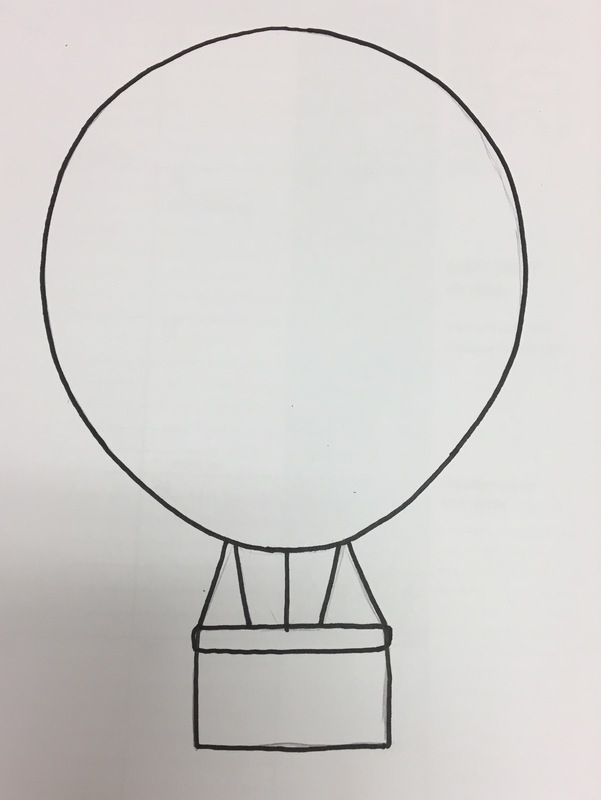 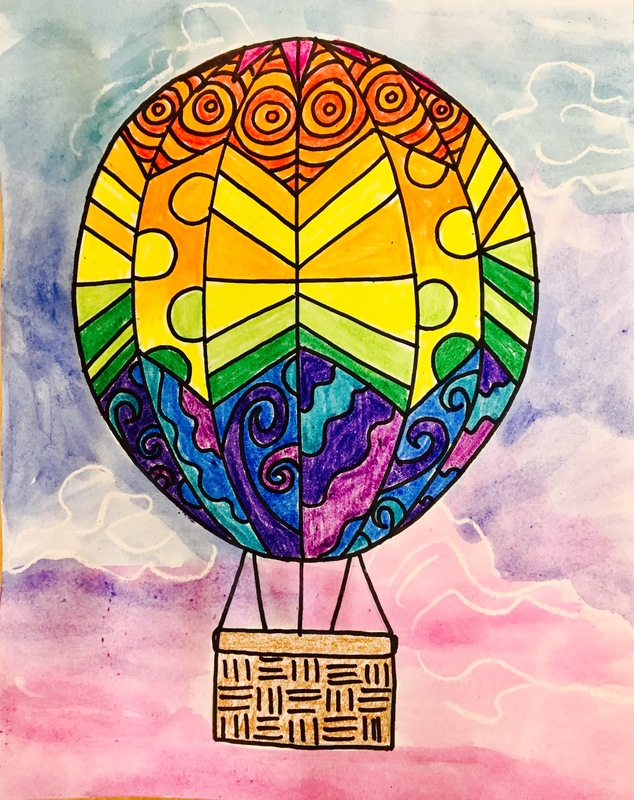 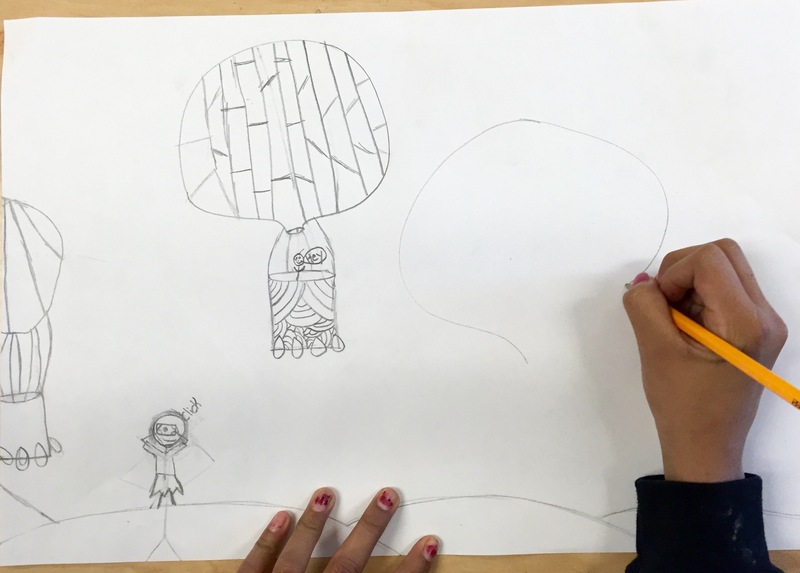 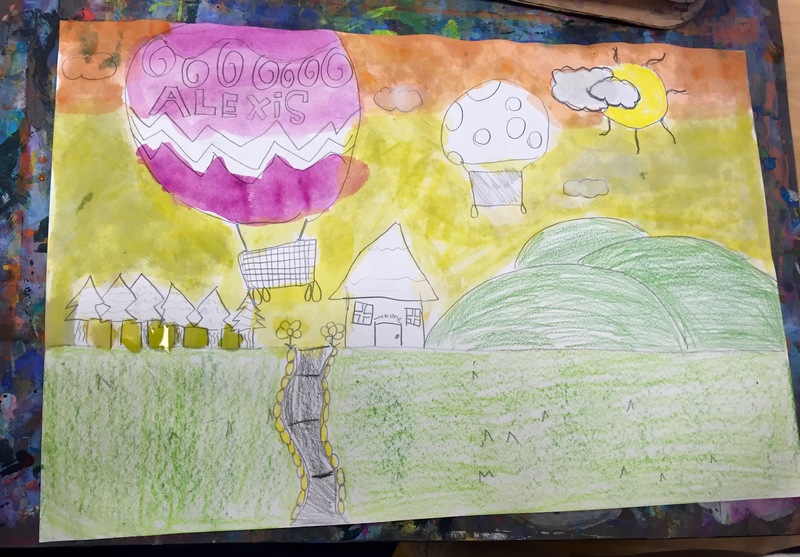 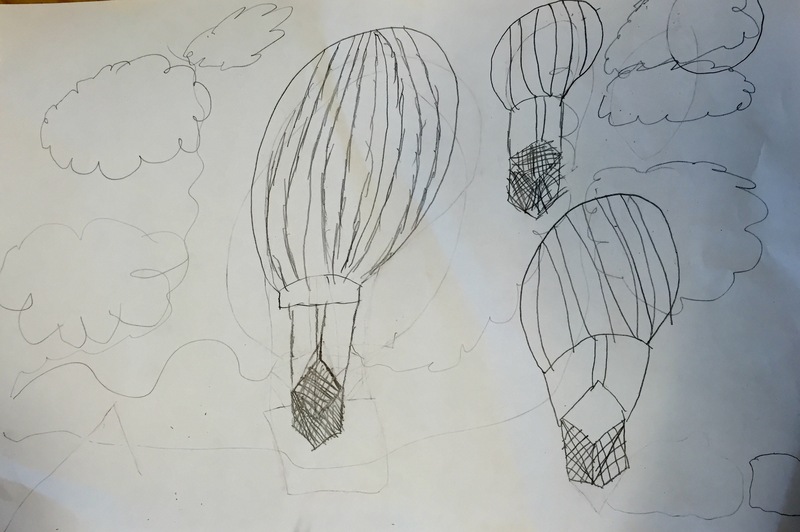 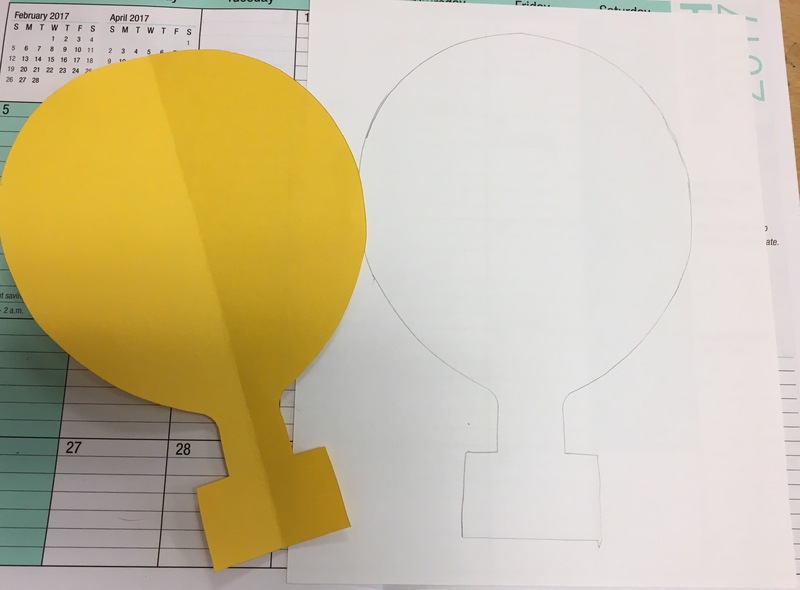 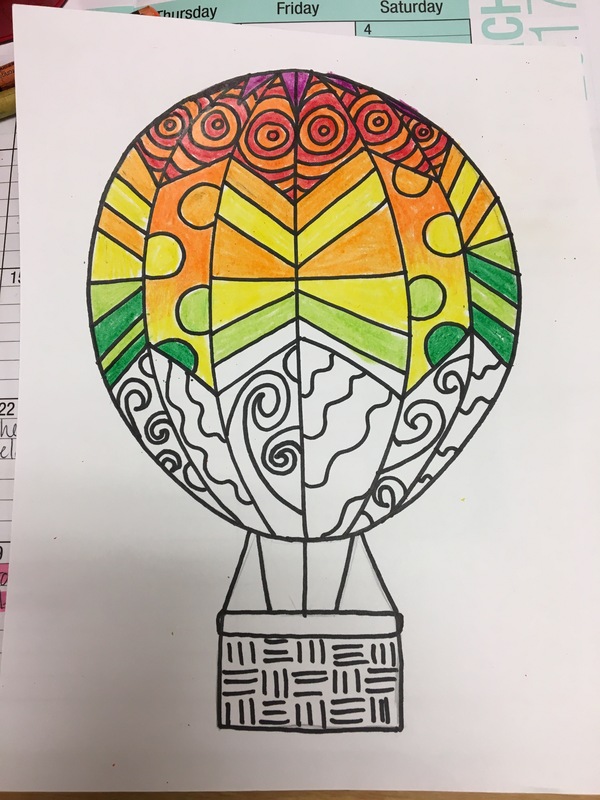 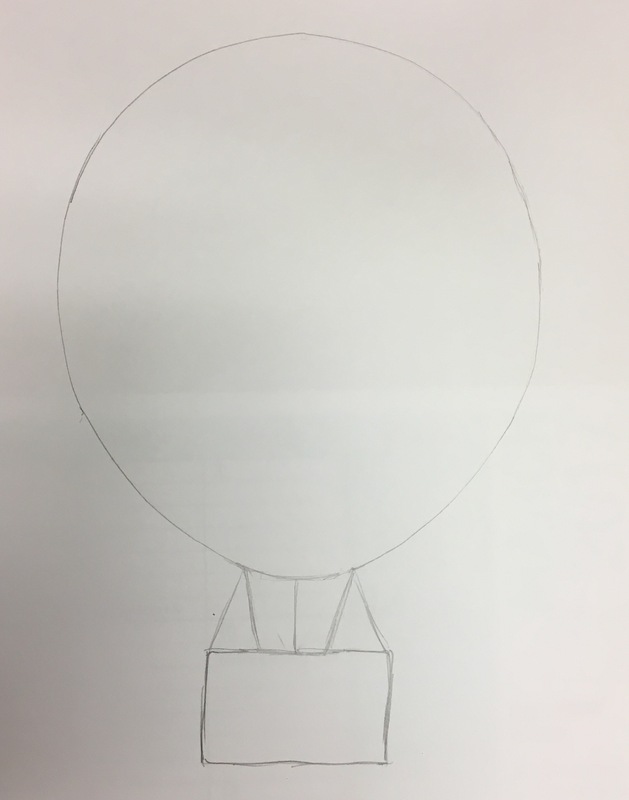 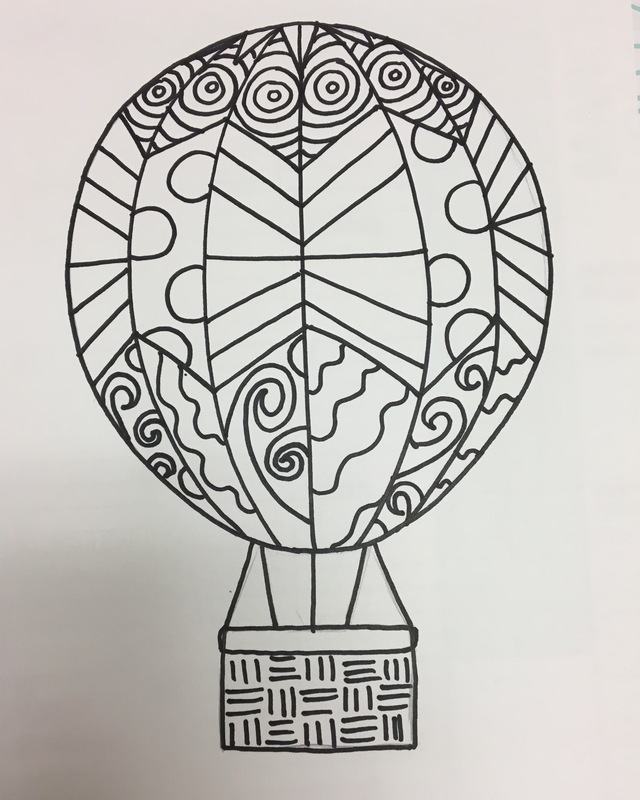 We are creating in honor of the annual Statesville Hot Air Balloon Festival. 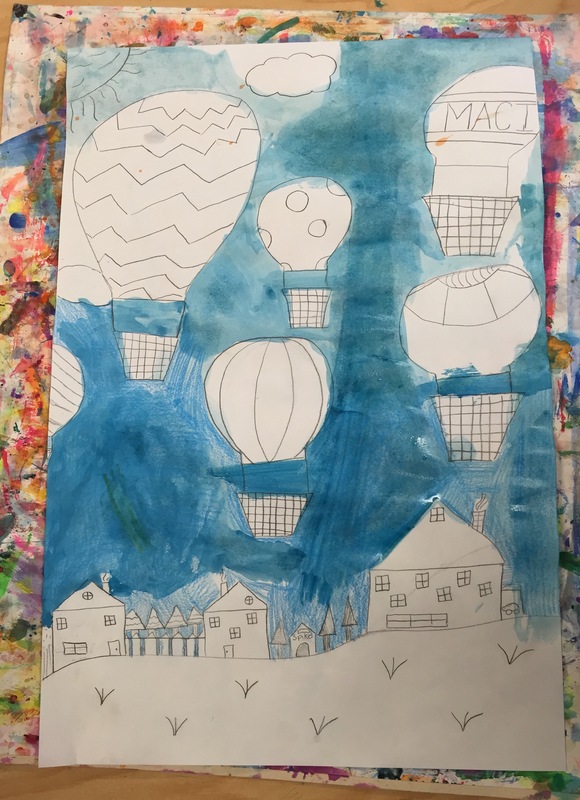 We looked at tons of pictures of hot air balloons, paintings of hot air balloons, and even a video of a mass launch at the Statesville festival. 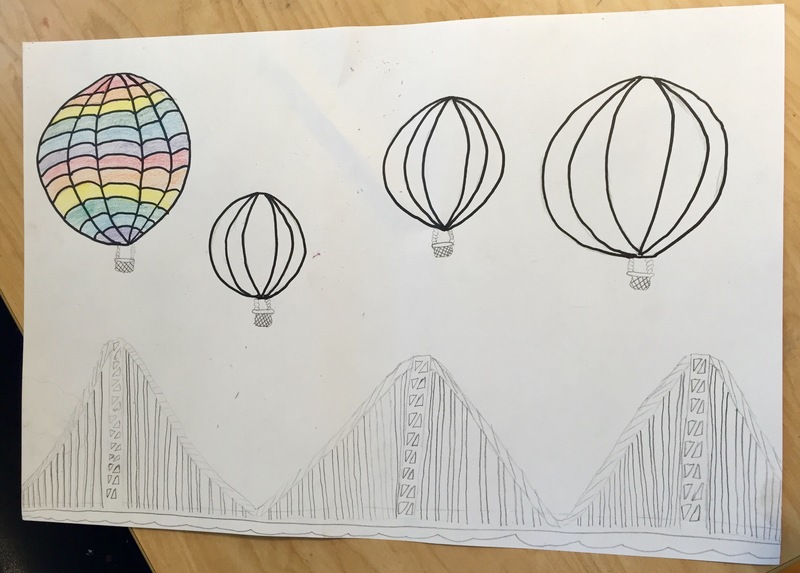 I wanted to give them more choice in their artwork and so I left up lots of the pictures we looked at and they are using those and their own ideas to create their own individual pictures. 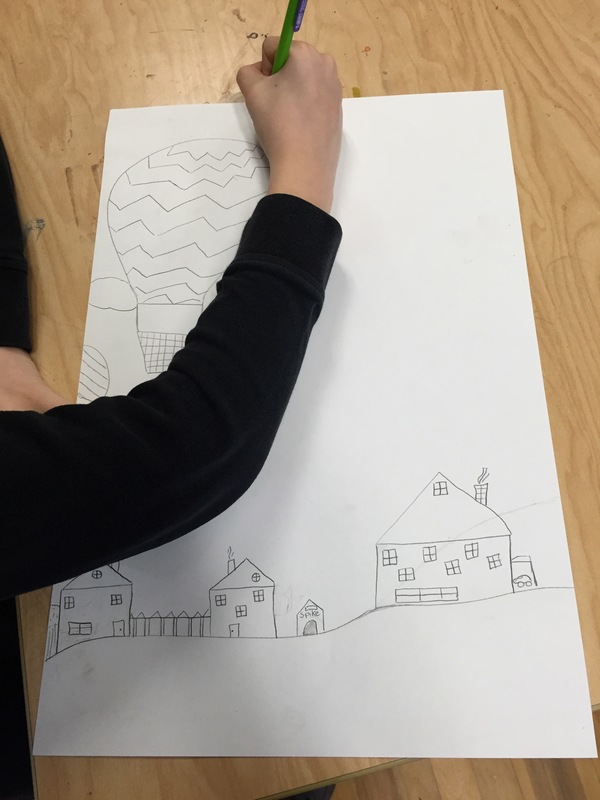 Day one of choosing their own materials. 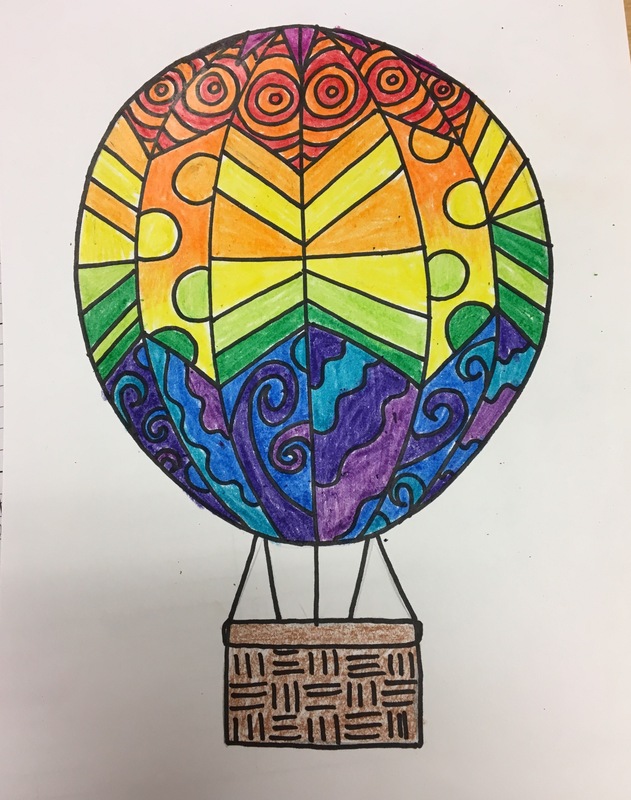 They chose from crayons, markers, color pencils, color sticks, oil pastels, and paint.